2013 ended with me being lazy and productive at the same time. I didn’t do any work related things and I didn’t do any traveling; while my mother/roommate went to visit my brother in New York, I stayed at home with the kitties and knitted to my heart’s content. I completed a few projects and made headway on others. I’m not big on New Year’s resolutions, but I’ve started to make a few. Since this blog is all about my sewing and crafting, I’m only going to discuss those resolutions. My crafting resolution is simple: knit and sew more. I have plans to knit all of my close friends winter accessories as Christmas presents. I have already started, but since I don’t know who follows me here I am going to refrain from posting any specifics. I decided to do this now since there are tons of patterns and things I want to knit, but I knit so much for myself I can’t use them all. There are going to be a lot of hats, cowls, and gloves coming off my needles before December rolls around again. I also plan to sew more. I have this affinity for skater and circle skirts lately so I am going to attempt to be making a number of those. As for cosplay plans, here are the top 5 picks for the time being. I have no plans for anything anime/manga/kpop related. All of my plans circle around my current obsessions: Doctor Who, Hunger Games, and Once Upon A Time. 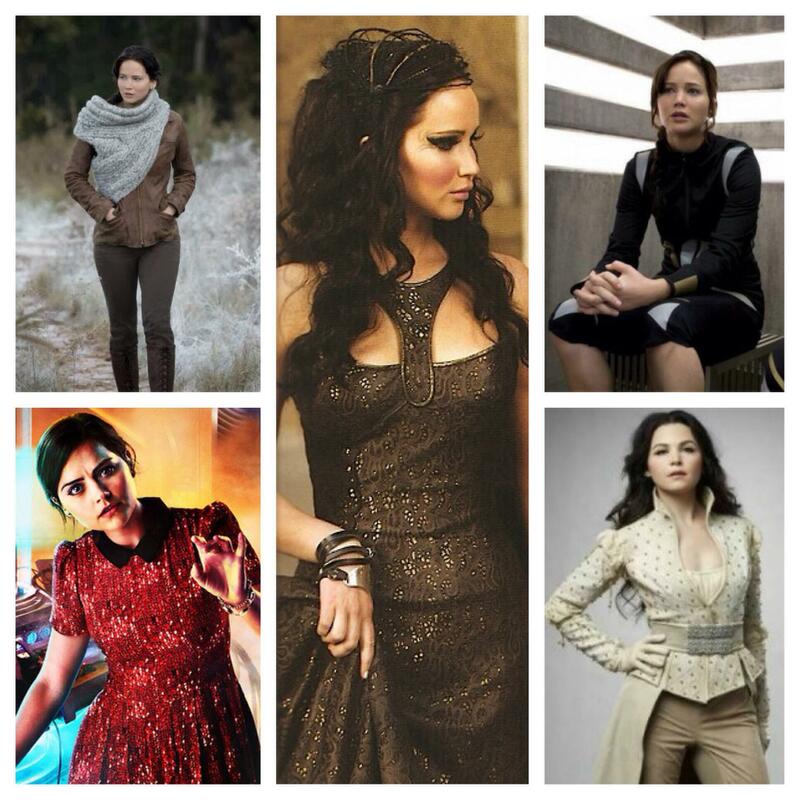 Three outfits on my list – Katniss hunting, Katniss training, and Clara – are done except for a few accessories (shoes and/or wig). I’ve already started the mock up for Katniss’ parade dress, and have a decent pattern in mind for Snow White. Since there isn’t much to be done, I am likely to add to this list (tentatively, I am considering adding Katniss’ arena outfit from the first movie and a Mary Margaret outfit). I said I wasn’t going to knit a lot for myself and now look what I did. In my defense, I have the yarn for three sweaters already, and the lace tam does not take long. Can I make these resolutions? Crossing my fingers that I can.